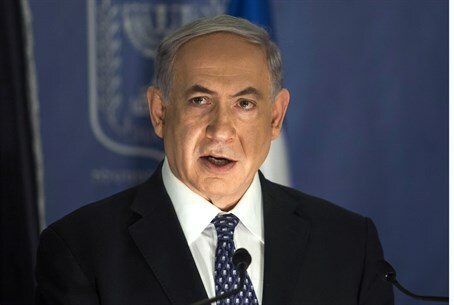 As international figures were on their way to the Middle East in the hope of negotiating a cease-fire between Israel and Hamas, Prime Minister Binyamin Netanyahu made the rounds of television news shows explaining Israel's position in the wake of the continuing ground war in Gaza. Netanyahu appeared on three TV news channels - Sky News Arabic, Fox and NBC – and discussed some of Israel's recent military activity in Gaza. "They [Hamas] have taken billions of dollars,” he told Sky Arabic. "Instead of building kindergartens with it, they're building tunnels, concrete tunnels to blow up our kindergartens." “I agreed now to three different calls for ceasefires,” Netanyahu added. “We kept them, even though Hamas kept firing and they violated every one of those ceasefire calls: the Egyptian ceasefire, the UN ceasefire, the Red Cross ceasefire." Netanyahu made similar comments on the other channels as well. Netanyahu also described how Hamas used civilian buildings, such as hospitals, as bases to launch attacks from against Israel. The IDF on Monday released photos and videos that offered irrefutable proof that Hamas terrorists were indeed using civilian neighborhoods and facilities – including hospitals – to fire rockets at Israel. Netanyahu presented one of these photos in the interviews. The declassified photo posted on Twitter shows the locations of rockets and rocket launchers in the Shuja'iya neighborhood, placed on playgrounds, inside mosques and homes, and even in a cemetery. In addition, the photos show a missile launcher at the entrance to Al-Wafa Geriatric Hospital in the neighborhood.